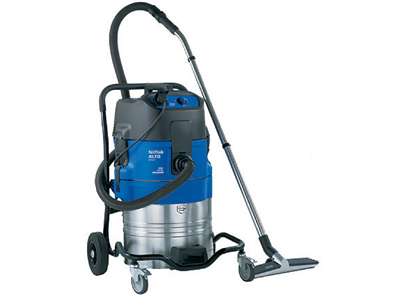 Attix 19 AE - 1000w vacuum with a discharge pump mounted in the canister for automatic water evacuation. Will also function as a normal vacuum without running the pump. This unit comes with a 1 1/2" x 13' oil resistant intake hose, a 25' PVC discharge hose (100088), curved wand and extension tubes, and a 16" wide commercial squeegee.